The final part of an exclusive interview with Gillian Welch and Dave Rawlings, recorded in Nashville. Plus more of the best new music released in 2018 so far. As we're halfway through 2018, Ricky plays more of his favourite country and Americana songs of the year so far. 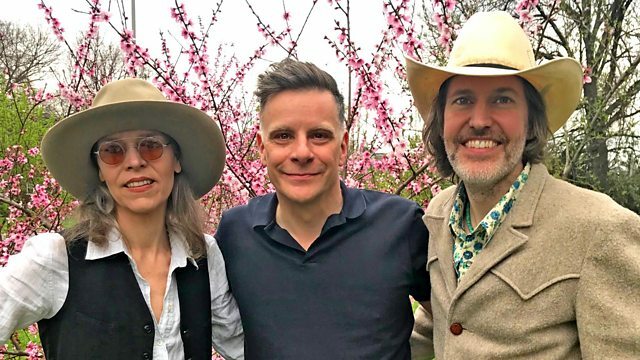 Plus the final part of an exclusive interview with singer-songwriters Gillian Welch and Dave Rawlings, recorded in Nashville. They discuss their recent projects, the stories behind some of their most-loved songs and reveal some future plans. The duo share their reaction to the some of the artists who have covered their music, including Miranda Lambert, Emmylou Harris, Willie Nelson and Tom Jones. They reveal their plans for a new Gillian Welch album, the on-going Official Bootleg series of outtakes from their archive and their ambition to return to Scotland to play live. The Harrow And The Harvest. Join Ricky and the team on Facebook for all the latest news.